In preparation for the US Senior Open, Omaha Country Club installed some of our trusty High Traffic slip-resistant matting around the golf course. Specifically, they were looking to improve traction and comfort on the foot bridges. Because our matting is slip-resistant in nature, golfers are afforded protection against the risk of slips and falls. 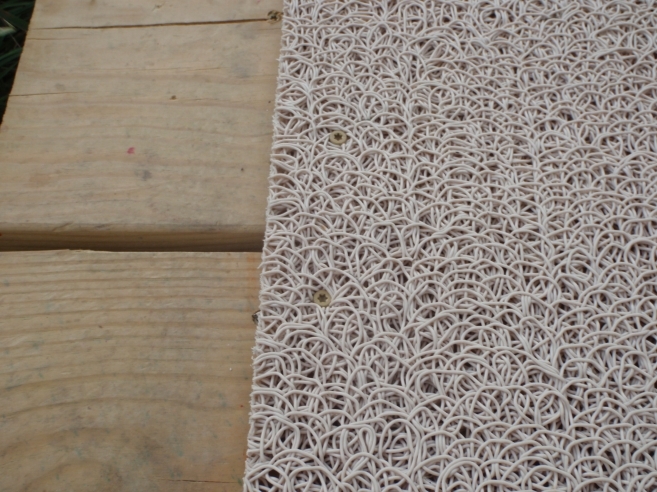 Aside from safety and comfort, our skid-free matting comes in a variety of colors. 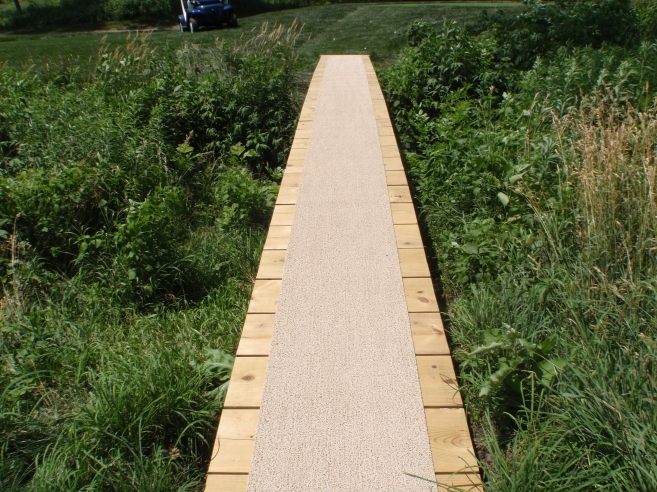 It was important for event organizers to find matting that blended with the earth-tone look of the bridges. They opted to go with 2ft x 25ft rolls of PEM’s High Traffic sandstone matting. The color blended perfectly with the light wooden bridges, providing a great look for one of golf’s biggest events, the Senior Open. Our slip-resistant flooring is also a breeze to clean. We recommend cleaning the matting with a sanitizing cleanser such as Wysiwash. This handheld, low pressure sprayer connects directly to your hose, providing an all-in-one cleaning service. With proper cleaning and regular maintenance, most applications should last several years before replacement is needed. Want to see more photos of golf applications? Head on over to our photo gallery that shows PEM matting installed on courses from coast to coast. To learn more about PEM slip-resistant flooring, please feel free to give us a call at 800-783-2358 or email your questions to info@pemsurface.com.